In part one of our series, we highlighted some of the best lawyers on television. You see, although we’re not lawyers ourselves, we do often get a glimpse into the legal system here on Oahu. While we certainly wouldn’t offer legal advice, one thing to know is that we’re glad to offer bond advice, so if your loved one is in jail and you’re unsure of what your next steps should be in getting him or her released, look no further. In addition to speaking with a bondsman, you’ll also probably be in contact with a lawyer. We mentioned this in the previous blog, but one of the most amazing things about the legal system in the United States is that even if you can’t afford to hire an attorney, one will be appointed to you. We also noted that the public defenders in Honolulu are excellent at their work, dedicating themselves to getting a positive outcome for their clients even when they have a big caseload of work. It’s with that in mind that we’d like to continue our list of the best television lawyers. In our previous blog we highlighted favorites like Ally McBeal, Ben Matlock, Saul Goodman, and Perry Mason. What other TV lawyers will make the cut, you ask? We are highlighting some really unique picks below, so keep reading to learn more. Known for its large ensemble cast with multiple storylines, L.A. Law ran for eight seasons and featured memorable guest performances from names like Kathy Bates, Bryan Cranston, Carrie-Anne Moss, Don Cheadle, Jeffrey Tambor, David Schwimmer, Kevin Spacey, Steve Buscemi, Stephen Root, Lucy Liu, William H. Macy, and others. As great as the guests were, the main cast is what really stole the show. From Leland McKenzie to Stuart Markowitz to Ann Kelsey to Douglas Brackman Jr., the attorneys at McKenzie, Brackman, Chaney, and Kuzak are nothing if not memorable. Matt Murdock — perhaps better known as the crime fighting superhero Daredevil — only recently got his own television show. Originally created by Stan Lee and Bill Everett back in 1964, Daredevil comics have shown incredible range over the years thanks to the help of many prominent writers. One of the things that the show gets so very right is the juxtaposition between who Matt Murdock is as a lawyer and who he is as a hero. Brilliantly played by Charlie Cox, Matt Murdock is just as entertaining in the courtroom as he is in the middle of a fight and the drama is sure to keep any viewer on the edge of their seat. Even if superheroes aren’t your thing, Daredevil is one show that will really make you care about its main characters. Is there any better combination than detective work and courtroom drama? Law and Order, which ran for an incredible 20 seasons, highlighted both the efforts of law enforcement and attorneys. District Attorney Adam Schiff featured prominently in the main cast for the first ten seasons of the show, but it’s the combination of lawyers and detectives that makes the show so compelling. 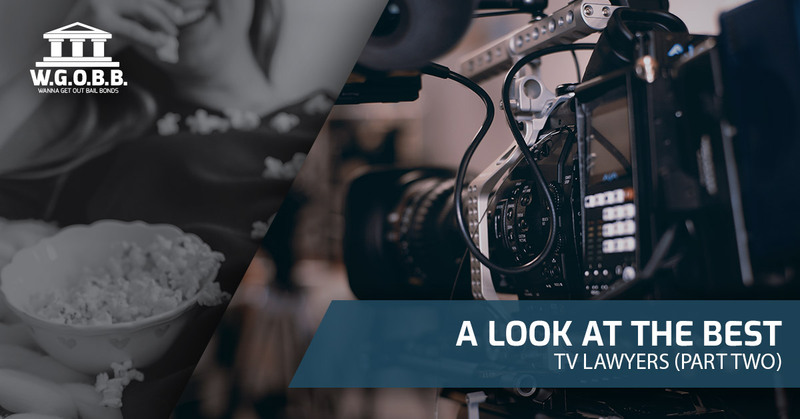 With a handful of spinoffs focusing on specific elements or cities, the legacy of Law and Order is one that is sure to inform similar television programs for years to come. Admittedly a more unique legal television show, Harvey Birdman, Attorney at Law is all about superheroes who work at the law firm Sebben and Sebben. Borrowing from Hanna-Barbera cartoons of decades past, this show takes a surreal and hilarious look at the legal system. Wikipedia sums up the show’s premise wonderfully: “Many of Birdman’s nemeses from his former cartoon series appear as attorneys, often representing the opposing side of a given case.” It’s a show that is certainly a little more out there, but if you roll with it, you’ll likely find that there’s a lot to love about this oddball cartoon and its recent revival episode, Harvey Birdman, Attorney General. If there’s a more beloved lawyer than Marshall Eriksen of How I Met Your Mother, you’d be hard-pressed to identify him or her. Initially a student when the show starts, Marshall eventually goes on to become an environmental lawyer, and later a judge on the Supreme Court. Some of the show’s best episodes are the ones where we get to see Marshall at work arguing with colleagues, but it’s always a highlight when he wins an argument and declares that the loser has been “lawyered.” Brilliantly brought to life by Jason Segel, Marshall Eriksen shines in a show that’s full of fun performances. What’s the one thing we have in common with the television lawyers above? We’ll always be there for you. There’s something comforting about being able to turn on a television show and enjoy its characters knowing that you can watch any time of the day or night. Fortunately we also offer 24 hour bail bonds so if you or a loved one are in need of help we’ll be there to pick up the phone no matter what time it is. At Wanna Get Out Bail Bonds, we proudly serve the entire island of Oahu. To get the help you need, we’re just a phone call away. Contact us today and we’ll be there to lend a helping hand.